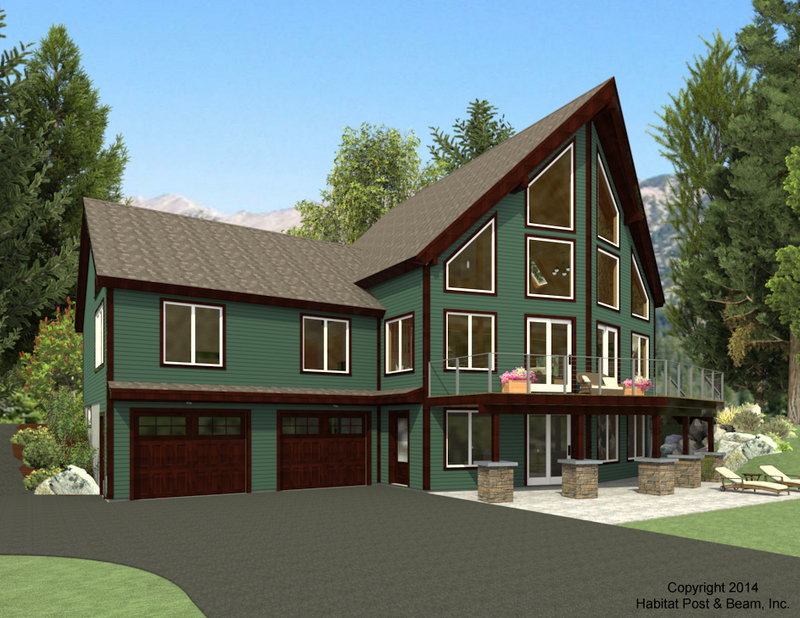 Here is a three-bedroom custom Prow situated on a sloped lot. The main level of about 1664 s.f. 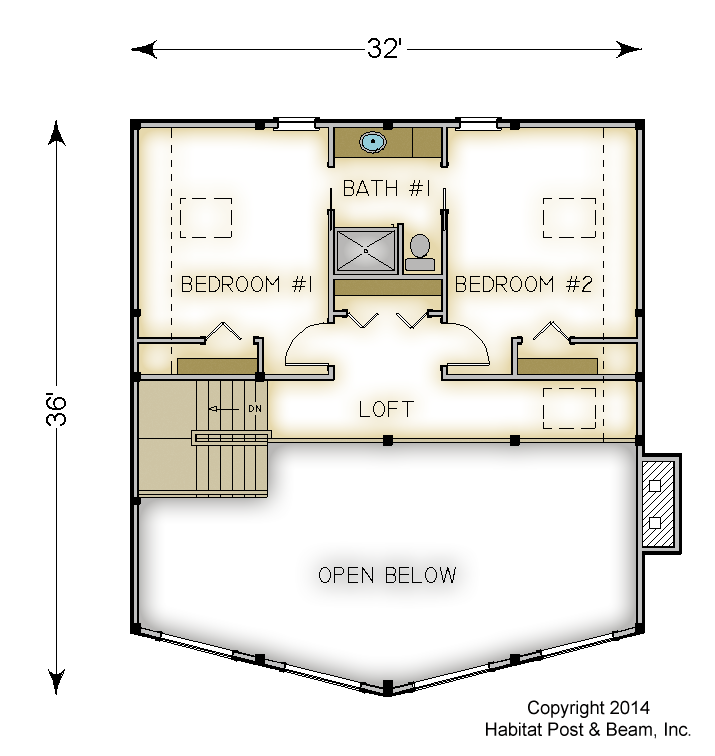 has a kitchen, dining and laundry/bathroom in the rear, and a large living area in the front prow section. A master bedroom wing is off to one side. 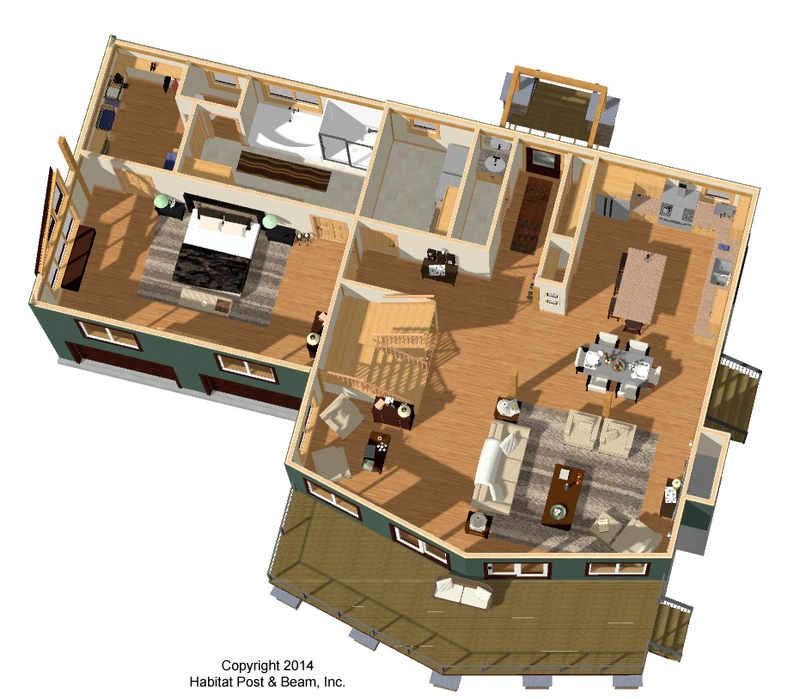 Upstairs there are two additional bedrooms and a bath, sharing about 580 square feet, and a loft that looks down onto the living space below. 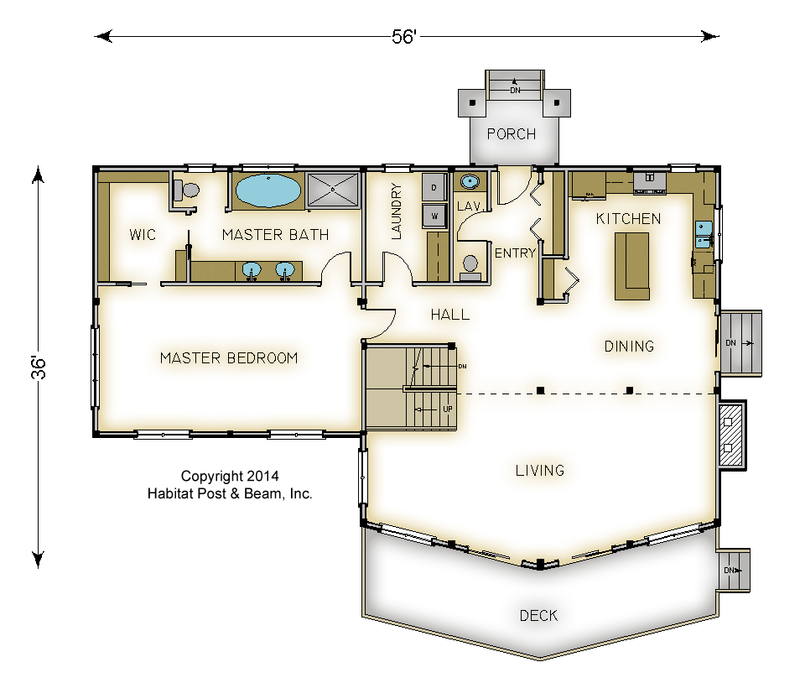 The lower/walkout level has a two-car garage, family room, utility and storage spaces. Package Price: $185,000 as specified below (from $171,000 to $219,500 depending on framing options). 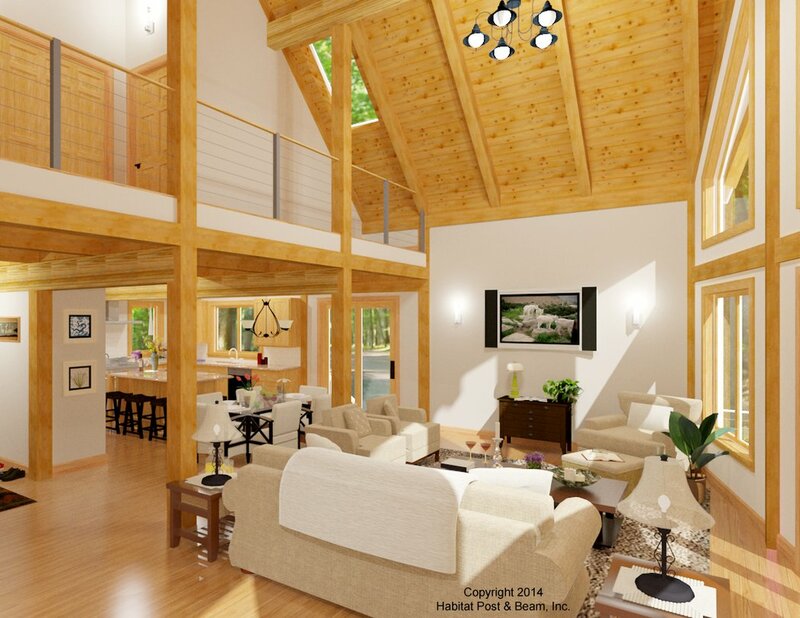 The standard price includes our Beamed Wall System, Plaster and Beam or Beamed Mid-Floor System (same package price), our Beamed Roof System over the living and loft, our Plaster and Accent Beam Roof System over the master suite and bedrooms and our Liner Roof System under the lower level pent roof. The entry porch is our Beamed Porch System. The walkout level (daylight basement), including the garage is not included in the above pricing.